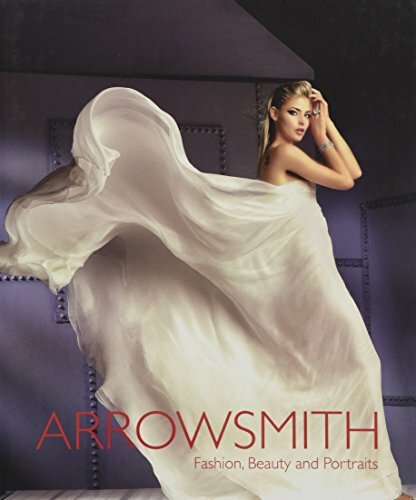 The contents of Clive Arrowsmith: Fashion, Beauty & Portraits are nothing short of breathtaking. The execution is everything you would ever want in a book focused on fashion and beauty photography including the size and quality of reproduction. There is only one page of text—in other words this is all about the images and not about the words. These are not the photos of today’s crop of photographers as they cannot be confused for snap shots. What is so arresting about this collection is that so much of it is untampered with in terms of retouching or Photoshop. These are photographs that are of the “warts and all” variety—none are truly disturbing unless you only seek perfect skin, unwrinkled faces, and not a pore in sight. Yes, you can see the powdered faces, crevices, and less than perfection, but this is reality in many ways and then there is some fantasy that comes along with it almost as a counterpoint to the hard truths as seen through his lens. Be aware that the book is laser focused on images meaning not the clothes, not really even the models, though named here and there, this is all about that instant when you can almost hear the click of the shutter. The images are mesmerizing if not hypnotic. The reader will be totally drawn into this body of work that spans decades and only partially exhibits this man’s enormous gifts as a photographer. Even the most seasoned fashionphile will get lost in the images and forget to even think of what designer, what ad, which model, or even when these photos were taken. This book clearly demonstrates that photography can be raised to an art form even when photographing fashion and beauty. Many of the images are timeless and none of them are banal. This epic volume is aimed at those immersed in or even curious about fashion and photography. This is a spectacular coffee table book that will no doubt become rabbit eared after having been perused time after time and year after year.